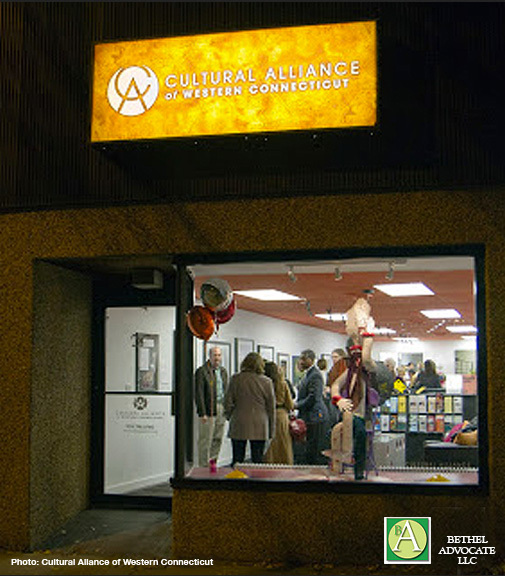 The Cultural Alliance of Western Connecticut is seeking art entries for the Accessible Art Project 2017, which celebrates its 9th year of showcasing artists who live and work in Western Connecticut in a year-long, multi-site series of exhibitions. Primarily wall space for two dimensional work will be made available by various venues who will host more than 30 exhibitions in Danbury and Bethel throughout the year. Storefront windows for art installations are a consideration as well. The Accessible Art Project is a collaboration between the Cultural Alliance, public and private venues, and artists. Its intent is to provide opportunity for artists to show work in alternative spaces and to make art more accessible to the general public. It is also a way for business leaders to leverage creative talent to promote economic development and bring life to downtown communities. Artists may submit a minimum of four (4) sample images, up to a maximum of 12 pieces. A jury chosen from the local arts community, participating venues, and the community-at-large will review submissions and will select artists based on the entries submitted. The jury’s decision is final. Artists are then matched with selected locations to exhibit for approximately 6 to 8 weeks.The artists will be notified of the date and location of their exhibition in advance. Artists may be selected for a solo show or as part of a group show, and artists may also be chosen for more than one location. The deadline for entries is Monday, January 9th, 2017 Any submissions after that will be put on file for future review.